Even with the ever-evolving technology and social media outlets for small businesses, email is still one of the most reliable methods of communicating with customers and building loyalty. According to Restaurant Engine, small businesses are spending about 15% of their marketing budgets on email. An effective email marketing strategy needs some thought behind it. Check out these tips to learn more about how your restaurant can get the most out of email marketing. The first step to effective email marketing is picking reliable email software and building your email subscribers. Constant Contact, Fishbowl, and Mail Chimp are all reliable email marketing companies that are user friendly and cater to small businesses. Email software allows you to send emails to large groups of recipients and track key analytics such as open rates and click-through rate. While from time to time you’ll want to send out emails with new messaging, it can be helpful to have a few templates ready to go. Creating a happy hour template to promote your specials or creating an email for offers on customers birthdays are great templates to have at the ready as you will use them time and time again. Make sure to include all of your business information in each e-mail, such as your name, address, phone number, and hours of operation so that your customers will have quick access to the information they need to visit you again. When you send emails such as newsletters, VIP promotions, or specials announcements is just as important as the messaging itself. When is your audience most likely to read your e-mail? 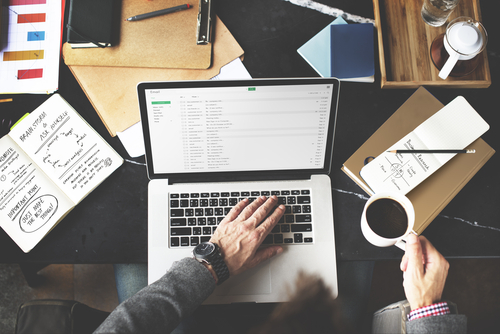 According to Lisa Sparks, Constant Contact’s Regional Development Director for Florida, studies show that sending an email in the middle of the day is better than mornings or evenings and Wednesday and Tuesday are the best days of the week to for optimum results. If you send too many emails or send too infrequently, you run the risk of customers opting out. Send one or two messages per month to keep them interested but not overwhelmed. Letting your customers know about your e-mail program in the restaurant and through community events is a good way to increase your email base. Provide incentives for your staff to sign up customers. Creating special offers for your email base will encourage more customers to spread the word about your program. You can also promote your email list across your social media platforms. SinglePlatform is dedicated to helping restaurants like yours. Learn more about how we help restaurants stand out everywhere that matters online.